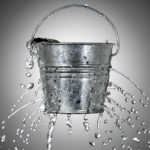 Too much churn, you lose money. Grow too fast, you lose money. Customer acquisition cost too high, you lose money. Recurring cost of service too high, you lose money. Just shoot me now! How on earth do you make money in SaaS? It just can’t be! This is high tech. This is the Internet! Software, not hardware. SaaS can’t just be a low-cost commodity business. There must be a value-based approach. A SaaS revenue solution! There is. But, it doesn’t mean you can ignore the fundamentals. Driving down total cost of service through automation and economies-of-scale is fundamental. SaaS executives that ignore this put the long term profitability of their SaaS businesses in peril. But, enough on lowering SaaS costs. Let’s talk increasing SaaS revenue! Higher gBE0 or aBE0 means longer time to profit. When gBE0 ≥ 1 or aBE0 ≥ 1 the SaaS company will never be profitable. Hence g = a = 1/BE0 is the maximum, profitable rate of growth or churn. In the formula above, “CAC” is the average acquisition cost per customer, “ARR” is the average recurring revenue per customer, “ACS” is the average recurring cost of service per customer, and the 0 attached to the BE is intended to indicate the absence of churn, i.e., the baseline break-even. What exactly does it mean to increase average recurring revenue without increasing average customer acquisition cost or average recurring cost of service? First, no additional customer acquisition cost means that we must increase recurring revenue from current customers. Second, no increase in average recurring cost of service means that we must do so in the normal course of business with very little extra effort, preferably through customer self-service (self-selling!). 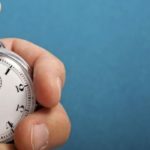 In other words, SaaS companies can accelerate time to profit by upselling and upgrading current customers, but only if it follows an exceptionally low cost purchase process distinct from the new customer acquisition process. 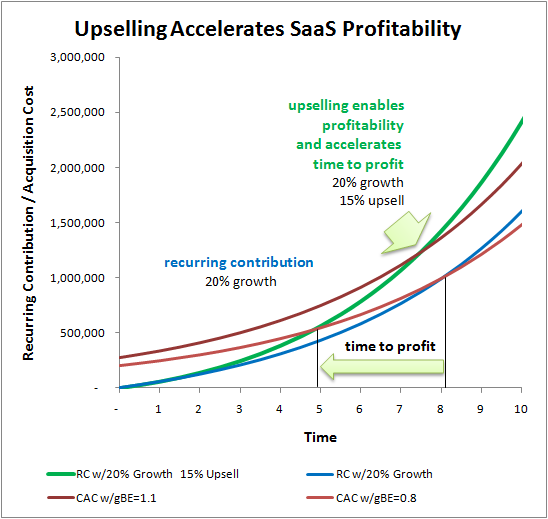 The chart below depicts the impact of upselling and upgrades on SaaS time to profit. to accelerate SaaS time to profit by countering the delays of both growth and churn. The chart above depicts the effect of upselling on the two uglier examples presented in the last SaaS metrics series installment where times to profit where 8 years and never, respectively. These are determined by the intersections of the blue line, which depicts the recurring contribution (recurring revenue minus recurring cost of service) of a SaaS company with a growth rate of 20%, zero churn, and an average recurring contribution per customer of $1000 – $500 = $500 per year, with the two red lines representing average customer acquisition costs of $2000 and $2,750 respectively. Finally, some light at the end of the tunnel! Pure upselling as defined here, reduces BE0 by increasing recurring revenue without significantly increasing total cost of service, i.e., money for nothing. What could be more strategic! In this format, we can see that increasing average recurring revenue per customer, ARR, to reduce baseline break-even, BE0, is equivalent to increasing the average rate of return return on our investment of customer acquisition cost. 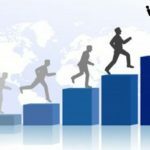 That is, the average recurring contribution, ARR – ACS, can be interpreted as the interest earned on the investment of customer acquisition cost, CAC. Since the SaaS recurring revenue model implies that contribution from current customers must cover the cost of acquiring new customers, then the rate of return on current customers must exceed both the percentage growth and churn rates, otherwise the old can’t fund the new. Upselling and upgrades increase the average rate of return on current customers, accelerating SaaS time to profit and enabling a SaaS company to absorb higher percentage rates of growth and churn. Two great examples of upselling and upgrades in practice are Salesforce.com and Xignite. Salesforce.com has standard user-based subscription pricing, but then breaks its subscriptions into carefully designed modules of increasing functionality. If you’ve ever been a salesforce.com customer, then you know that 90% of the upgrade process consists of you, as the customer, repeatedly bumping into the limits of your current subscription. When you need more users, or you need the capabilities of enterprise over professional, then you go online or pick up the phone and order them. The cost to salesforce.com is minuscule compared to the original customer acquisition cost (which includes not only customers, but all the prospects that didn’t buy). Salesforce.com is a master of application discovery, which is the process of letting less experienced customers discover for themselves the value of more advanced product capabilities. Xignite is a cloud services provider of on-demand market data (Who was that guy?!). Unlike monolithic end-user applcations such as Salesforce.com, Xignite’s Web services can be purchased separately and mixed and matched at will. The company offers a market data catalog of more than 50 services with usage-based subscription plans, all of which can be easily purchased online. The range of potential recurring revenue from the lowest plan for a single service to the largest plan for all services gives an upsell potential for each customer of around 1000:1 or total potential upsell of 100,000%! This post concludes the mini-series on SaaS profitability, but it is not the end of the SaaS metrics series. Surely, we’re only up to SaaS Metrics Rule-of-Thumb #8 and we can’t possibly stop until we round it off to #10. 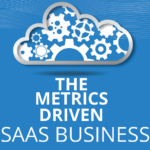 The next post in the series entitled Joel’s Magic Number for SaaS Companies will focus more deeply on what IMHO is the most important SaaS metric of all: average customer rate of return, and will go beyond the math to provide some simple benchmarks to help your SaaS business grow up healthy and profitable. The approach used to model upselling and upgrades is considerably more conservative than that used to model customer growth. In particular, no viral market mechanism exists to promote exponential growth of ARR as with customer acquisition growth or churn. 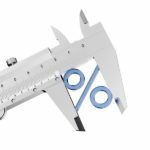 Moreover, upselling is severely limited by the size of the customer and breadth of the product offering. Therefore, a linear growth model based on the original subscription ARR was used. In the example above BE0 = 4 years and 5.5 years, respectively. With u = 15%, the impact of upselling is to accelerate break-even to BEu = 3.2 years and 4.2 years, respectively. Thereby increasing the respective tolerable rates of growth and churn from 25% = 1/4 and 18% = 1/5.5 to 31% = 1/3.3 and 24% = 1/4.2. Since the growth rate in the example is 20%, we can see that upselling takes the latter scenario from unprofitable to profitable as indicated in the chart. From a reporting side where do you normally see upsells included in metrics calculations? Included in net new customers or an offset to churn? The short answer is…in the growth number. Upsell would not appear at all in the standard growth/churn figures as they count the number of customers, not revenue. In this approach (which is the model used for my SaaS metrics), Upsell it is treated as an increase to the Average ARR per customer over the life of the customer. However, there are analogous growth/churn measures based on recurring revenue, instead of number of customers.